We're incredibly proud of the coverage that our wine has gained in such a short amount of time. Every article and word of praise vindicates our decision to pursue our dream and we value all the feedback we get. 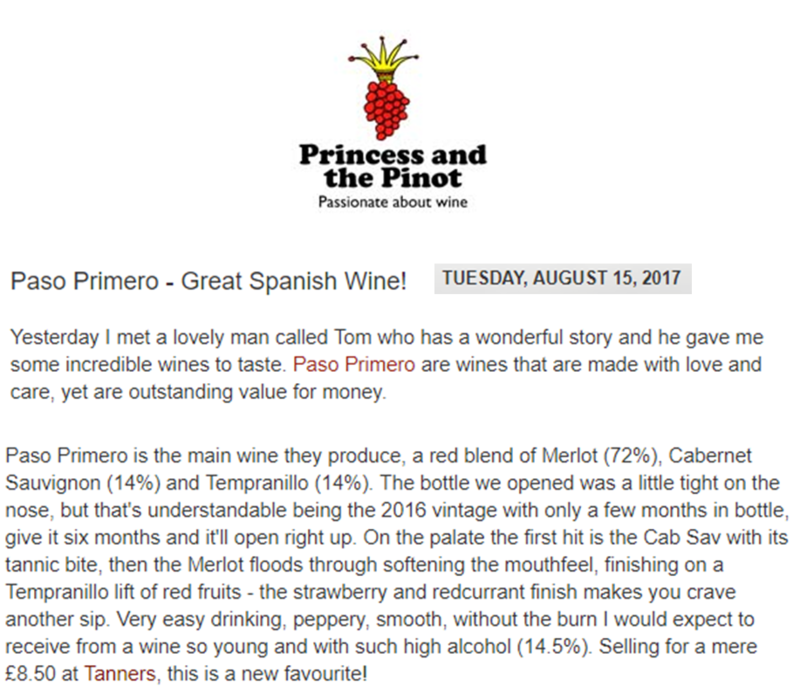 If you have any thoughts, want to try the wine or have found an article we've missed please email us at info@paso-primero.com.